Pfc. 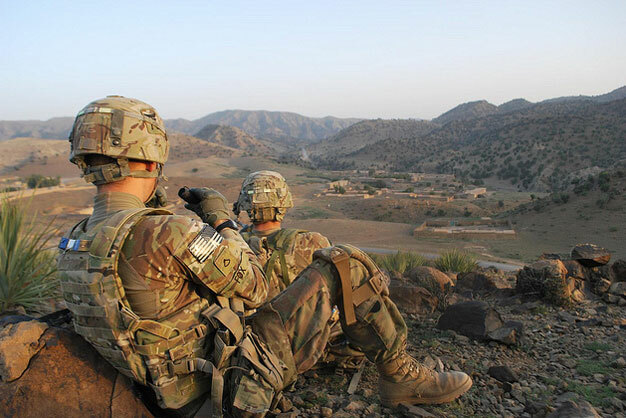 Charles Fox, a forward observer, with another soldier from Chopping Company, 3rd Battalion, 187th Infantry Regiment, 3rd Brigade Combat Team, 101st Airborne Division, provide overwatch during a dismounted patrol in Gorbuz District near Combat Out Post Bowri Tana, Afghanistan, Oct. 12, 2012. U.S. Army photo By: Capt. Erik Alfsen.